Badi School started in 1993 as a kindergarten in the carport of a trailer home. The school is now a K-12 school serving more than 400 students, of whom 57% are girls. Badi is recognized for excellence in academics, arts, music and technology programs impacting the lives of thousands in the neighboring communities. Badi School started as a kindergarten in a carport over 25 years ago. It has grown into an impressive K-12 institution that serves more than 400 students from one of the poorest areas of Panama City. 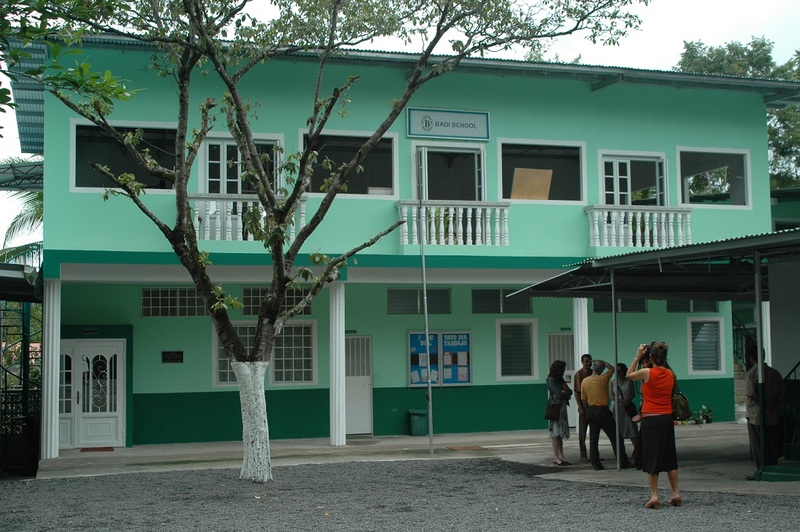 Despite the surrounding conditions, the school ranks as one of the best in Panama. Their arts program starts in 7th grade and gradually teaches more complex techniques, surpassing the University of Panama. The computer lab is Linux based, allowing it to be low maintenance and low energy consumption, which runs completely on recently installed solar panels. Badi School is a great example of what the Mona Foundation seeks to support. It started as an after school tutoring program in the carport of a trailer home where the Torrez family lived. Over time, and through the sacrificial efforts of this selfless family, the program grew to a Kindergarten with 7 students and then to a First Grade with 15 students. A few years later, once the school had matured to the point it could receive funding from an external agency, the Mona Foundation stepped in to support its development to a full K-12 school. With the help of our generous donors and amazing Board, we initially provided a limited number of scholarships and gradually increased our investment over several years to build additional classrooms, a library, a common room, and technology and science labs, and to support the music, arts, and character development programs. Badi now has 400 students and is completely self-sufficient. It is widely acknowledged as one of the best schools in South and Central America with all of its graduates receiving full scholarships to the finest universities in Panama and the United States. Beyond this significant achievement, the school’s service to the wider community has transformed the surrounding area into a thriving neighborhood that is committed to the education of children and service to all those in need. The Mona Foundation currently provides only small annual grants in support of Badi’s scholarship and arts programs. From its start in 1993 as a kindergarten in a carport, Badi School has grown into an impressive K-12 institution and has been recognized for excellence, both in Panama and internationally by the Ibero-American Council on Education (comprised of universities and other educational organizations from Spain, the U.S. and Latin America) as one of the best. Recognized not only for its excellent academic education but also for its outstanding programs in arts, music, computer technology, and community service. 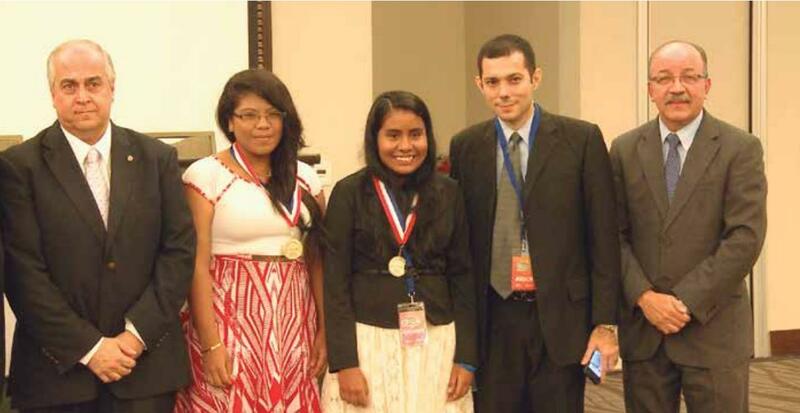 Despite their disadvantaged backgrounds, Badi School students have earned the highest scores in national exams, won awards in the arts and film and have been accepted at prestigious universities in Panama and the U.S., many with scholarships because of their excellent academic record and history of community service. Moral leadership education and community service are woven throughout the Badi School curriculum. Students are recognized for their good character as well as their academic achievement. In 2015, a group of students from the 9th, 10th and 11th grades received second place in a national short film festival for their film on how to change someone who bullies into an agent of positive change. The film was shown nationally and impacted many students around the country and inspired other schools to promote good values. On August 2017, Badi School decided to participate in a world cultural day for 31th October 2017. They planned to have 300 people among parents, friends and neighbors attending the event, and invited two jazz music bands and also prepared our students to present a play about the Persian History, named "Revelation of Light". The first challenge they faced was to investigate and write the script in only one weekend, then to practice it, create the costumes, curtains, lights and scenographic details. Additionally they needed to build the stage, rent chairs and tents, and prepare food and refreshments. They sent the invitations two weeks in advance and that night they had 562 people attend. All of them were very happy, expressing their gratitude and praise for having been invited to a special cultural and family night. More than 50 parents assisted and more than 100 students were involved with different tasks. Jessica was a slow learner and not doing well in class. But when she entered the Arts Program, she became very enthusiastic, often staying at the school longer than her friends to practice her art. She did beautiful paintings and demonstrated a tremendous capability for the arts and a strong desire to learn more which affected her whole academic career as well. She graduated with honors from Badi School and later also graduated with honors from college. One year later, she opened her own art gallery and in 2015, she received a national award sponsored by the Panama National Institute of Culture. She came back to teach art at Badi School and in 2016 will pursue a Master of Arts degree. Badi School, which started in 1993 as a kindergarten in the carport of a trailer home, is an impressive K-12 school, serving 400 students. The school is recognized for excellence in academics, arts, music and technology programs impacting the lives of thousands in the neighboring communities. Nearly half the families in this area are homeless. This past year they were awarded 1st place in a national contest hosted by the Ministry of Education in the category of sciences research! They were invited to the International Science and Engineering Fair in Tucson, Arizona by the Organization of American States and the Intel Company to present their findings. In a competition including 1,500 students, Monica and Madelaine’s research was awarded 2nd Place. Mona Foundation provided $50/month scholarships to enable these two girls to go to school. Dareleen Cano was a beautiful 12 year old girl that visited the school in 2005 and at the behest of her grandmother, her sole caregiver, Dareleen was offered a 50% partial scholarship, and enrolled in the 7th grade. During the first year the school realized her needs, dedication and commitment and offered her another 25% to have a 75% scholarship for the rest of her studies. In two years she obtained high average and was on Honor Roll. The fourth year she painted a mural world map (planisphere) in one of the walls of the school which stills exist. She graduated in 2016 with honors and was awarded a full scholarship to the Panama Technological University to study Industrial Engineering. During her graduation ceremony, Badi School presented her grandmother with a golden medal to recognize her efforts to educate her granddaughter which she did by washing and ironing clothes. Dareleen is currently working as a Statistics Manager at COPA/Continental Airlines. She has since bought an apartment and brought her grandmother to live with her. $100 – Support the Music and the Band Program for one month. Total cost $1,200. 250 – Provides support for expanding the Arts program. Total cost 2,600. $500 – Provides a full scholarship for one student for a whole school year. Served 400 students and 6,000 community members indirectly. 3 of 19 Mona scholarship recipients graduated and are now attending college. Placed first in the Inter School Archery Contest for North Panamá! Provide scholarships for 19 students, $9,434.